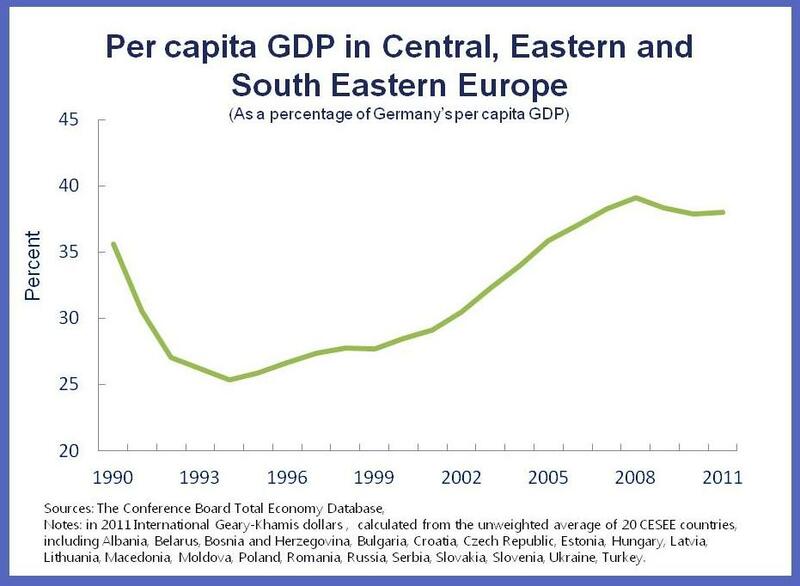 Central, Eastern and Southeastern Europe has been through a lot. In two short decades, the region moved from a communist planned system to a market economy, and living standards have converged towards those in the West. It has also weathered major crises: first the break-up of the old Soviet system in the early 1990s, then the Russian financial crisis in 1998, and finally the recent global economic crisis. How did these countries do it? From the Baltic to the Balkans, the region’s resilience and flexibility are the result of hard work and adaptability. But more than anything, it is the strong institutions built over the last two decades that have enhanced the region’s ability to deal with the momentous challenges of the past, the present—and those to come. The IMF’s role in the region’s transition is most often associated with the emergency financing and sometimes tough advice that we dispensed during this period. The focus in the early 1990s was on getting the big picture right: stable economies, price and trade liberalization, and privatization. But, little noticed from outside, our involvement went deeper. Behind the scenes the long and arduous job of building skills and capacity was underway. In fact, many of the countries emerging from communism regarded the IMF’s technical assistanceand training as even more valuable than its lending and broader policy advice. Capacity building, of course, isn’t just about setting up new agencies or dispatching foreign advisors. It is doomed to fail without qualified staff to use the new legal and regulatory tools, to formulate policies and to execute them. There was no lack of smart and educated people in emerging Europe―what they needed were new skills and perspectives. I firmly believe that the region’s remarkable transition during the past 20 years would not have been possible without these well-trained civil servants, many of them alumni of the Joint Vienna Institute, a training center sponsored by the IMF, Austria, and other international institutions. This investment in human capital paid off handsomely when the global economic crisis hit in 2008. The collapse of Lehman Brothers and what followed profoundly shook the region: growth, trade and employment collapsed and default threatened some governments and financial institutions. The region avoided the much feared meltdown thanks to quick and well-executed policies supported by unprecedented international financial support. Today, the ongoing crisis in the eurozone is the main threat to recovery because of the region’s close financial and economic ties to Western Europe. This is particularly true for countries where vulnerabilities remain high—those with substantial financing needs, widespread foreign-currency lending, and banks saddled with high non-performing loans. No wonder that these were the economies most affected by spillovers when the eurozone crisis intensified in the second half of 2011. As Eastern Europe struggles to come to grips with the uncertain outlook, it’s worth remembering lessons learned from the recent boom-bust experience. First, every boom—no matter how unsustainable—has a good story at the time. Many of us were misled by the perception that the imbalances, including huge current account deficits and double-digit credit growth, were a benign byproduct of inevitable convergence toward European living standards. With the benefit of hindsight we now know that the laws of economic gravity hold—in emerging Europe just as now in the eurozone. Second, counter-cyclical policies may be insufficient to fully prevent a bust, but they can dampen it. Take Estonia’s conservative pre-crisis fiscal policy, which kept its budget under control and allowed the country to join the euro in 2011. Or the National Bank of Poland’s far-sighted prudential policies that discouraged foreign exchange denominated borrowing, which made it less vulnerable to currency volatility. Third, a decisive and well-designed policy response can help overcome the crisis quickly. There is no silver bullet. What matters is that a country’s program is internally consistent and properly executed. We at the IMF have stood by Latvia’s ambitious consolidation based on maintaining its currency peg, just as we have supported the more conventional adjustments in Hungary, Romania or Ukraine. Poland managed to avert a recession altogether, thanks to a flexible exchange rate and apt policy response, supported by a financial backstop from the IMF. Fourth, in meeting these challenges two decades of capacity building bore fruit. In fact, this is the common theme that runs through this brief history of transition, crisis, and crisis resolution. Underpinning future growth with strong institutions—skilled policymakers and their staff—is key to sustaining the success. Finally, well-coordinated international support and close cooperation between the public and private sectors make a difference. As case in point are the joint IMF-EU financial support programs in the region, and the “Vienna Initiative”—a unique body that brought together governments, regionally active banks and international institutionsto maintain lending levels to the private sector in the region. What will the future hold for Eastern Europe? Much will depend on how the crisis in the eurozone is resolved. In the meantime, the answer at the country level is to address vulnerabilities head-on: by improving competitiveness, reducing fiscal financing needs or dealing with non-performing loans. Given its institutional capacities, I am confident that the region will yet again be able to design and implement the policies necessary to meet these challenges. At the international level, we need to reactivate the successful international cooperation of the recent past. This includes the revival of the Vienna Initiative, taking into account the new circumstances for parent banks. It may also include financial support, possibly precautionary, from the international community. The IMF has stood by this region since the end of communism. We will continue to help whenever asked, with financing, policy advice, and capacity building.